The event is located at dcr Wompatuck State Park where there is a new USATF-certified 5k trail. The paved trail is both wheelchair and stroller accessible. 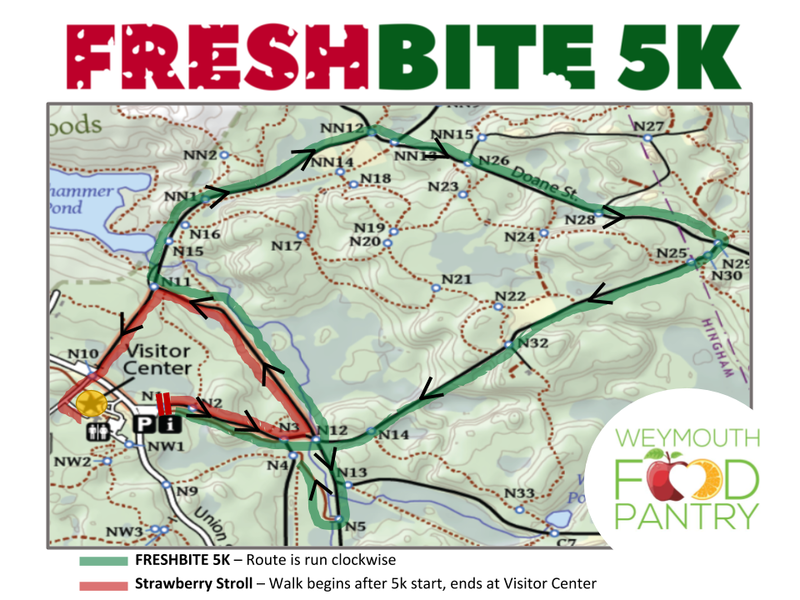 You can run or walk the 5k or choose to walk the 1-mile Strawberry Stroll and focus on the beauty of the woods. There's ample parking available just beyond the main entrance. We'll gather first at the Visitors Center to check in (if you've previously registered) or to register (if you haven't already). Turn up to help us end hunger.